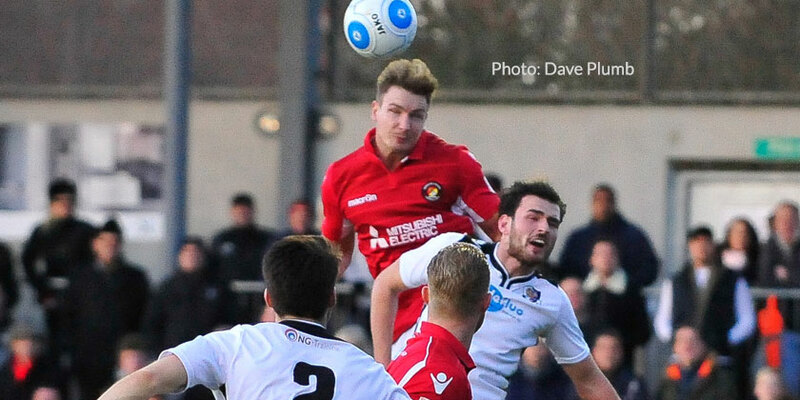 Dartford seized the first round of bragging rights as two second-half goals put them in the driving seat against a Fleet side whose late goal offered brief hope to away fans of salvaging something from this Boxing Day encounter. 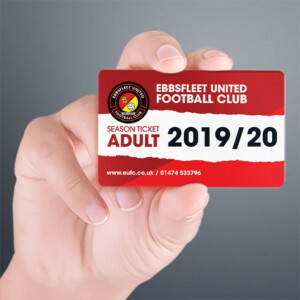 But it was two defensive lapses that allowed the Darts to take the initiative and a lack of efforts on target at the other end in the first 80 minutes saw Fleet come off second best. Daryl McMahon introduced Stuart Lewis to the starting line-up at the expense of Jack Powell while Mark Phillips returned on the bench for the visitors. Dartford welcomed back former Fleet skipper Tom Bonner and he was almost guilty of heading into his own net in the fifth minute when Andy Drury’s floated free-kick bounced awkwardly as it evaded the scrum in the box and landed towards the far post. It was a rapid opening spell that had seen Danny Kedwell fire high from 10 yards and then Marvin McCoy felled by a high challenge that had him requiring lengthy treatment. Darren McQueen then caught sight of goal after a neat build-up but he overstepped the ball and Dartford cleared their lines with half-hearted calls of handball by the visitors. On the counter, Kenny Clark found himself under pressure and hooked the ball back towards Nathan Ashmore who was forced to handle it to stop it bouncing over him and the referee judged that to be a back pass. With a free-kick inside the box, Dartford hit the Fleet wall but then managed to head the ball home over a ruck of players only to see the goal ruled out by the linesman’s flag. The Darts made most of the running in midfield and broke quickly and when Ashmore couldn’t quite come for a high cross, he was relieved to see his defenders clear for a corner. But from the 20-minute mark, the Fleet improved and Andy Drury found Anthony Cook with a weighted pass; the Fleet winger’s cross was a good one, Kedwell forcing Ibrahim into a save from his header. The visitors forced four corners before half-time but Dartford’s defence held firm each time and Ronnie Vint managed to steer the most dangerous of them away from Dave Winfield’s head. Dartford were pretty much held at bay for the remainder of the half as the tempo was kept high and the referee allowed even the tastier challenges to go unpunished from both sides. After the opening 45 minutes, there wasn’t much between the sides but it was the Darts who edged ahead once the second period got going. Clark had done well to head Lee Noble’s dangerous cross behind but from Noble’s resulting corner came the opening goal. Bonner was left unmarked as he moved into space and all he had to do was get enough power and accuracy on the header to send it beyond Ashmore. Dean Rance found himself booked as his frustrations boiled over following a tussle inside the Dartford box and Fleet then introduced Sean Shields as they went in search of the equaliser. 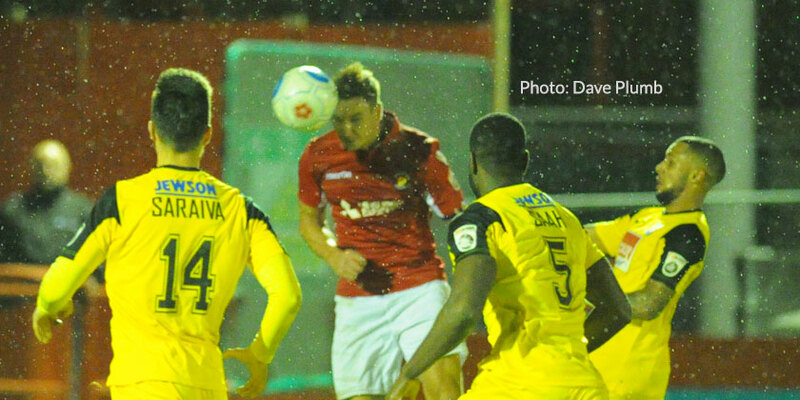 But Dartford looked the more likely to score at that point and though Elliot Bradbrook’s shot was straight at Ashmore, it was in a dangerous position that Fleet should have clamped down on. Ashmore had to perform a last-ditch double save on the hour, parrying a close-range hit from Danny Harris before seizing Duane Ofori-Acheampong’s follow-up. But he could do little about Dartford’s next attack. 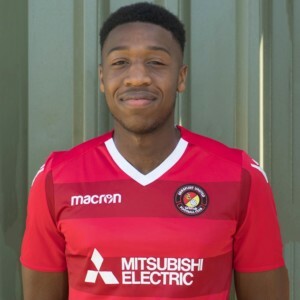 A long ball into space down the left caught Winfield out and Ofori-Acheampong was able to turn the ball inside, race on to it before Winfield and power a superb low shot out of the reach of Ashmore for 2-0. Bradley Bubb and Jack Powell came on and the eager Bubb immediately set about the Darts defence while Cook got into several good positions with his running but couldn’t keep either of his two shots on target. But Dartford weren’t content to just hold on and Ashmore kept Fleet in it with a good save from Noble to turn his shot round the post. Darts keeper Deren Ibrahim hadn’t had too much to deal with and was content to see another chance fly wide of the target when Kedwell executed a decent turn on the edge of the box. 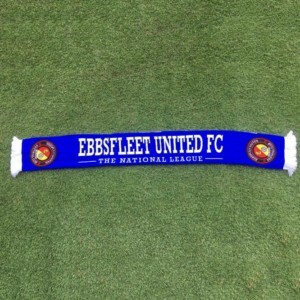 But finally came the effort Fleet fans had been waiting for, 10 minutes from the end. Cook, whose application and desire had almost opened up a few avenues for the Fleet down the right, sprinted in from the flank onto a Drury lay-off and spotting a gap he unleashed a piledriver that flew past Ibrahim and gave the visitors some hope. Dartford had a few anxious moments in the closing minutes and Powell’s free-kick was headed wide at the far post by Winfield. The visitors managed to get past the Darts defence twice more, with Kedwell unable to force the ball over the line in the six-yard box and another session of pinball in the home box was cleared as the white shirts mounted a rearguard action and saw the game out to take all three points. 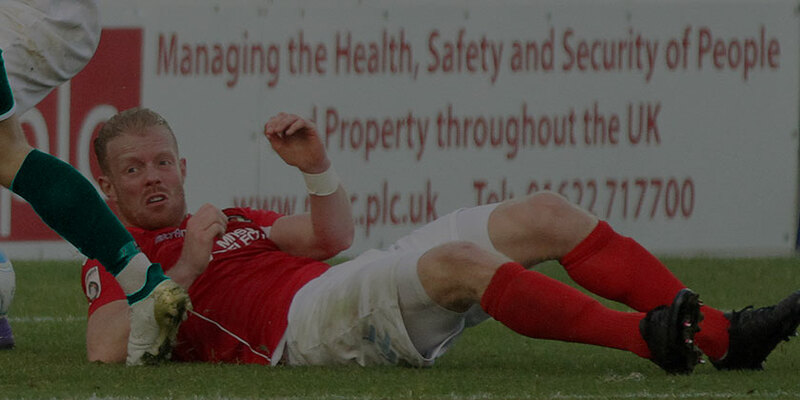 EUFC: Ashmore, Cook, Connors (Powell 67), McCoy, Winfield, Clark, Rance, Drury, Kedwell, McQueen (Bubb 67), Lewis (Shields 56). Subs not used: Phillips, Miles.